January 13 marks the Day of the Russian press. On this day in 1703, by decree of Peter the Great, the issue of the first national printed newspaper Vedomosti was published in Moscow. 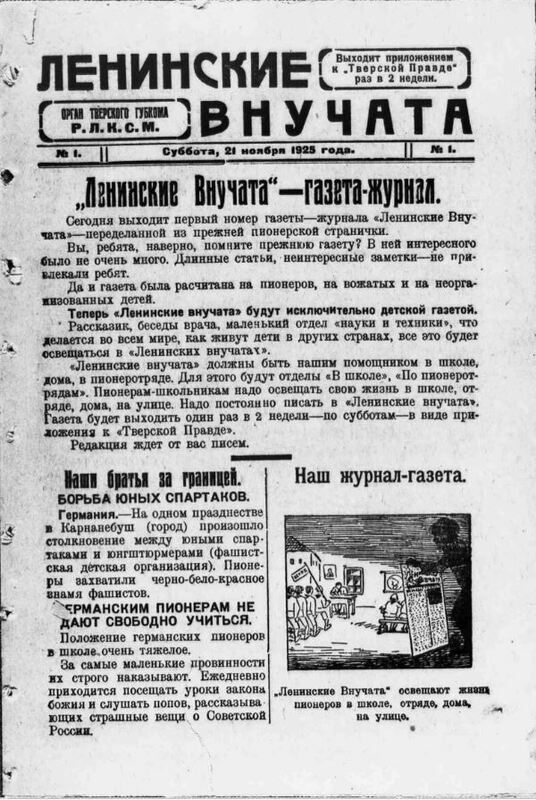 Another truly legendary edition - the children's magazine "Severnoye Siyaniye" this year marks 100 years. It was established by Maxim Gorky in 1919. The editorial board collected the classic of Russian literature right at home. The magazine lasted only a short time - only two years. But it was in this edition that, for the first time in the history of our country, young correspondents and deathcores, children's correspondents, began to be involved in cooperation. One of the important areas of work of the Presidential Library is interaction with the media. 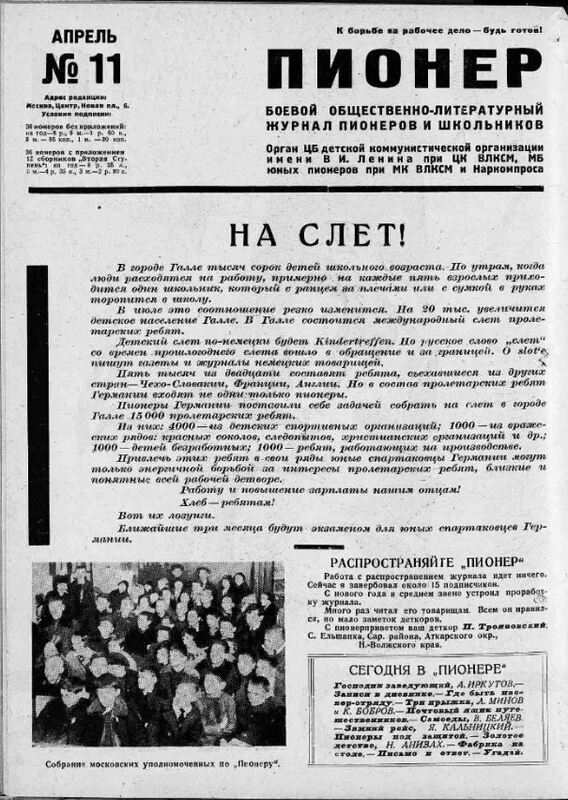 Many publications that came out at different times are presented on the organization's portal - in the special collection “National Periodicals in the Presidential Library’s collections”. Children and youth magazines and newspapers have a special place in it. Referring to the articles and notes written by the cadets, it can be noted that the development of a literate literary language among children and adolescents in our country has always received considerable attention. Literary taste and habit were observed to observe and evaluate events occurring both inside the country and in the world. Here is an excerpt from the article by a schoolchild Volodya Smirnov in the famous magazine Koster (№ 1, January 1938), which is available directly on the Presidential Library’s portal: “I am a student of the 6th grade of a full secondary school. I was born in Staraya Ladoga. Once, at the history lesson, a teacher told us that our city was a very old, ancient city. What once, in the 9th – 11th centuries, the Varangians built a waterway for themselves through the lands of the Russian Slavic tribes, which was then called the “trade route from the Varangians to the Greeks”. I learned a lot of interesting and new things for me and decided to write about it in your magazine”. 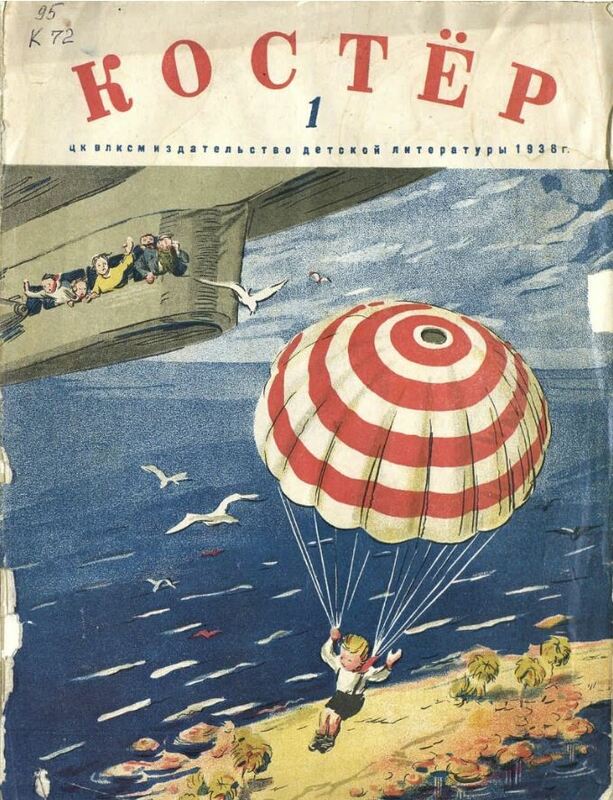 From this we can conclude that during the Soviet era, children not only sought to learn new things, but also wanted to share information with their peers. The content of such magazines and newspapers was quite diverse: articles on historical figures and events, latest news, works of famous writers and poets, and, of course, humorous materials. Studying on the Presidential Library’s portal electronic copies of various children's publications, you are available many interesting facts that give an idea of ​​the life of the young generation in a particular era. 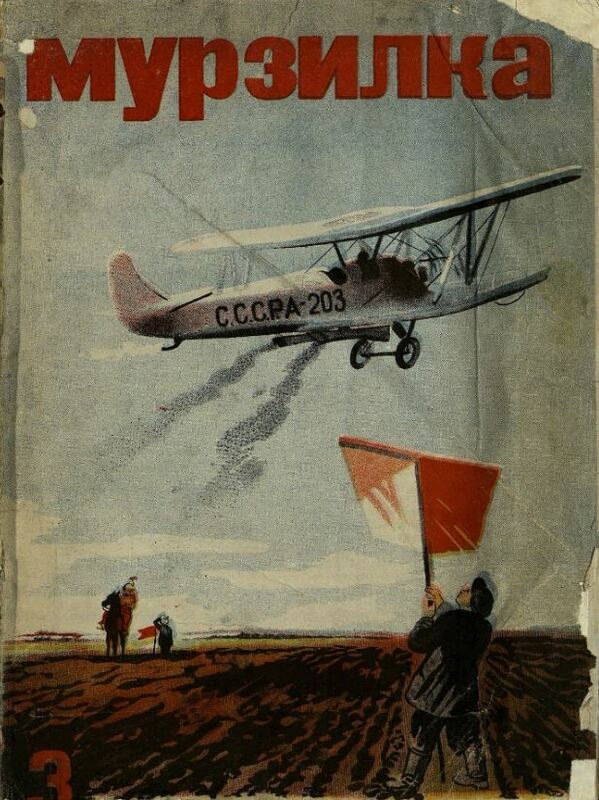 From the magazine “Pioneer” (№ 11, March 1930) we learn that in addition to writing notes, the guys were directly involved in the popularization of the periodical press: “We work with the distribution of the magazine. Now I recruited about 15 subscribers. Since the new year in the middle of the link arranged a study of the magazine. I read it to his comrades many times. With pioneer greetings, your deathcore P. Troyanovsky". Children's media gave a lot of practical advice. So, the authors of the newspaper “Leninskie Vnuchata” (№ 1, November 1925) detailed about the rules of safe reading: “You should always read slowly, thinking through every phrase. We must try to write a summary of the read. One should never read: lying in bed, in dim light, at dusk - from this people become short-sighted. Never read while eating”. In total, the collection “National Periodicals in the Presidential Library” contains 140 journal titles and 178 newspapers. The total number of rare text, audio and video materials exceeds 650 thousand. You can get familiar with them through the Presidential Library’s portal, as well as an extensive network of remote access centers. There are more than 800 of them. They are located in all 85 regions of Russia and in more than 30 countries of the world. The Presidential Library actively interacts with youth audiences. In 2018, on Senate Square, 3, a round table on the prospects for the development of children's media was held. The final stage of the business game among high school students “Your Choice”, devoted to electoral law in Russia, took place. The Presidential Library also became a platform for one of the main stages of the annual city competition “Journalist Marathon”, which involved more than a hundred representatives of the editorial boards of school media in St. Petersburg.